Tide Pods have implemented the Child Guard Child Resistant Slider from Presto Products to increase the safety of its packaging. The average household is filled with potential dangers that can harm a young child in the blink of an eye. That’s why parents and caretakers often undergo painstaking efforts to cover every wall outlet, secure heavy furniture and safely tuck away window blind cords. Now, with the rise of single-use detergent packs, the laundry room is becoming the latest threat to toddler safety. While potentially poisonous products should obviously be kept out of a child’s reach, all caretakers know that toddlers are resourceful and can quickly work their way into places they shouldn’t be. Because of the hazards these packets pose, it appears that packaging innovations are on the way to help keep children at bay. 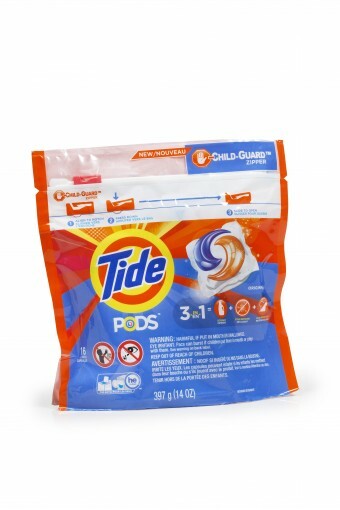 In an April 20 press release, Procter & Gamble announced that, starting in May, its Tide Pods flexible pouches will implement the Child-Guard Child Resistant Slider, a closure designed by Presto Products that makes a package very difficult for a young child to open. While safe storage of these packets is essential, it’s encouraging to see packaging innovations entering the fray as another protective element. Todd Meussling, senior sales manager and western region national accounts manager for Presto Products, likens the Child-Guard closure to child-resistant caps, which have become omnipresent on medical packaging. As more packaging shifts to a flexible format, this slider appears to be a step forward in making flexible packaging a similarly safe option. 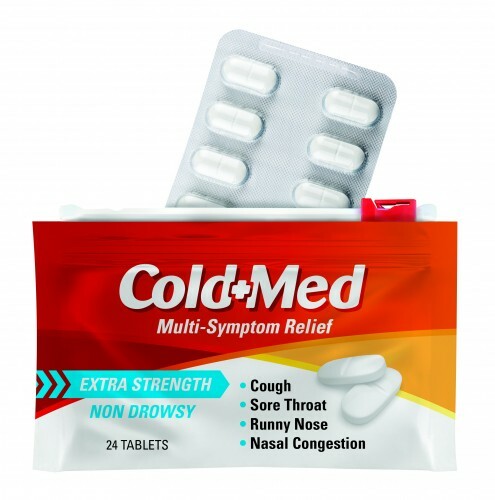 “Similar to the caps used on medicine bottles for years, the press and pull operation of Child-Guard presents a challenge for young children,” Meussling said in an email to packagePRINTING. “The innovative closure system was developed specifically to meet the Poison Prevention Packaging Act Standards (PPPA). In order to develop this technology, the engineering and R&D teams at Presto Products Co. spent over two years developing a solution that would effectively protect children in the household. The closure … is an enhanced version of a slider that is extremely difficult for a child to open, yet is simple enough for adults and seniors to open easily." Another example of a flexible package using the Child-Guard zipper. Recently revealed numbers show just how important it is to keep these detergent packets away from kids. In a report from the American Academy of Pediatrics, published in Pediatrics in April, more than 62,000 reports were made to poison control centers of children aged 6 and younger who were exposed to laundry and dishwasher detergent packets in 2013 and 2014. According to the report, laundry packet exposures had more serious medical consequences than dishwasher detergent packets and laundry packet exposure was linked to the two deaths that were reported. In September of 2015, ASTM International announced packaging standards specifically for these types of packets, which according to a press release, states the packaging should mask the visibility of the packets, include clear warning labels of the dangers they pose, and comply with specific child-resistant packaging requirements. P&G stated in its release that the new Tide Pods packaging is compliant with this standard. Meussling explains that converters implementing the Child-Guard closure will be able to open the door to flexible packaging options for brands that were using rigid options with child-resistant qualities. Every day dangers in the household will always be a reality, and consumer product goods companies should play a role in understanding the dangers of a newly released product and communicating them to consumers. The statistics show that detergent packet exposures pose a serious problem. Hopefully, through these packaging improvements, we'll see these numbers decrease.